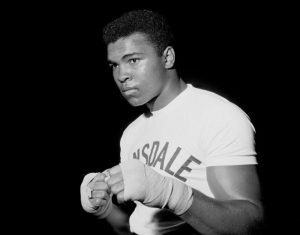 Our hero, our teacher and inspiration Mohammad Ali has moved on into the world of the ancestors. We thank you for your wisdom, your knowledge, your grace and your words. Many generations will seek solace in those very legacies that you left. Thank you. Ride on brother, ride on father, ride on our great hero, ride triumphantly into the world of the ancestors, where you will become a celestial star shinning down on earth, one of the judges who shall rule this realm forever. It was a fortune to have lived in your time. Your name will echo through the ages. Ride on our beloved guide and ancestor, shine down on us your warriors from your exalted seat in the heavens.